More than 150 people have been killed and thousands more injured in a powerful earthquake in rural areas of China's south-western province of Sichuan. 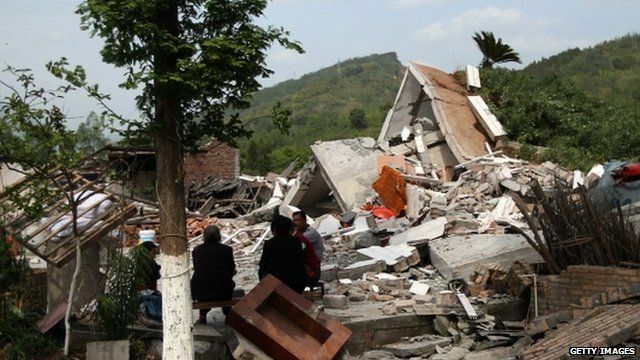 The 6.6-magnitude quake wrecked buildings and cut power in Lushan county. Rescuers are struggling to get through to the worst-affected areas because of aftershocks and landslides. Many people were in their beds when the earthquake struck at around 0800 local time. Damian Grammaticus reports from Sichuan province.